03/30/2019, we won two tracks in the IEEE Data Fusion Contest 2019, the only U.S. institute winning in the past five years. Congratulates to our team members! 03/10/2019, our team member, Wei Liu, has his paper “Weakly supervised classification of time-series of very high resolution remotes sensing images by transfer learning” published in Remote Sensing Letters, Congrats! 01/28/2019, the team traveled to Denver for the ASPRS Annual Conference 2019. We presented three papers respectively on Bundle adjustment, dense matching evaluation and DSM refinement, the presentations are well-received. 11/30/2018, Dr. Qin is invited by Prof. Luis Bettencourt to give a talk at the Mensueto Institute for Urban Innovation on the topic of “Geospatial data for Urban and Environmental Applications”, the presentation is well received! 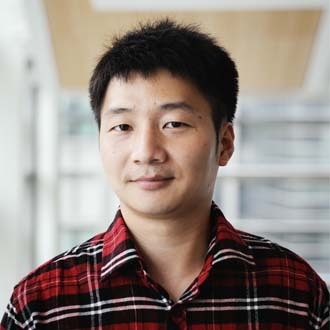 11/29/2018, Xiaohu has received the departmental travel grant, Congrats! 10/17/2018, Welcome Dr. Wenxia Gan, to join our lab as a visiting scholar for the next two years on her study on radiometric corrections. 07/04/ 2018, our paper ” Super Resolution of Laser Range Data Based on Image-guided Fusion and Dense Matching” first authored by our Postdoc Xu Huang gets accepted by ISPRS Journal. This is Xu’s first ISPRS Journal paper (first authored), achieved shortly after joining us. Great job, Xu please keep this thrust moving forward! 07/01, 2018, Wei Liu’s work in our group wins the third-place on his paper “An unsupervised Domain Adaptation Method for Multi-modal Remote Sensing Image Classification” in the CPGIS conference, congratulations! 05/30,2018, our paper ” A Novel Spectrum Enhancement Technique for Multi-temporal, Multi-Spectral Data Using Spatial-temporal Filtering” first authored by Hessah gets accepted by ISPRS Journal. Great job, Hessah it is not easy to knock down an ISPRS Journal paper in the first Ph.D. year! 04/02-11/2018, Congratulate Alex Julius, Bowen Wen, and Kara Lamantia, for having successfully defended their Master Thesis, Great job! 04/02/2018, Welcome to our new group member Xu Huang, A postdoctoral researcher in our group. His background is photogrammetry and remote sensing, and has been collaborating with us for a while prior to his arrival. Great, we look forward your contribution to the group. 01/08/2018, Welcome to our new group member Xiaohu Lu, A Ph.D. student in our group. And a Ph.D. position in machine learning and 3D vision is still available for the AU18 semester, if you are interested, please contact me by sending your CV and statements related to the field. 07/21/2017, Congratulate to our group member Chenyang Xu and Mao Li on their achievements in winning the Bronze medal in Kaggle Deep Learning Contest (https://www.kaggle.com/c/planet-understanding-the-amazon-from-space ), the final score ranked top 8% of the over 900 competing teams, with only 0.00352 score difference (in a scale of 1 ) to the top winner, good job! 04/03/2017, Congratulations to our group member Hessah Albanwan for having succefully defended her Master Thesis and rated high by the thesis committee. She is now officially admitted as a Ph.D. student in our group! 01/19 / 2017, Dr. Qin’s collaborating proposal to the National Research Foundation of Singapore Virtual Singapore Program has been accepted. Dr. Qin will be collaborating with Singapore ETH Center to work on semantic labeling and 3D building modeling. A position in our group based on Singapore will be sooner available! 01/18/2017, Our group was awarded a quick-study grant from Johns Hopkins University Applied Physics Laboratory for a performance evaluation on our RSP stereo pipeline. 01/11/2017, Our group member Alexandra Julius was selected to attend the first ever “Learning from Earthquakes Travel Study Program”, organized by Earthquake Engineering Research Institute. This will support a one-week long travel to Chile. 12/15/2016, Dr. Lin from department of political science and Dr. Qin were awarded the TDA seed grant in using remote sensing to detect the impact of bombing and consequent demining efforts and their relation to economic growth in Cambodia. Disclaimer: All the materials on this website are copyrighted by Rongjun Qin and some other researchers. You may request them for academic purpose from me, but other means of redistribution are STRICTLY prohibited.